Waffle Fest 4 is happening Saturday December 6th at Empty Bottle. 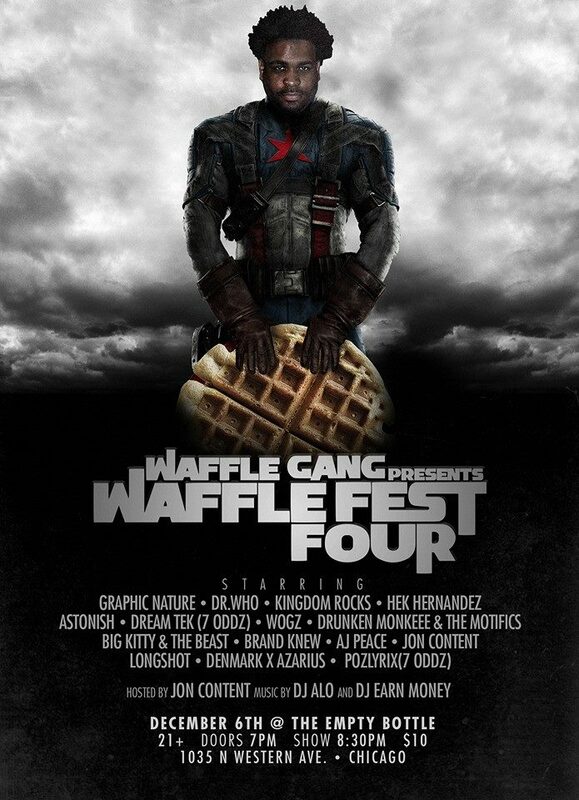 The event is the brainchild of Waffle Gang general and longtime promoter Awdazcate. This is the second installment that will be held at Empty Bottle. WF4 is a night of hip hop and food. Chicken and Waffles will be served as well as a wealth of Chicago hip hop artistry. The unity that is found at Waffle Fest isn’t matched and this latest edition is no different. Set times will be announced soon.